An effective way to fulfill this obligation is to introduce a software-based compliance management system. Compliance and monitoring of control measures achieve a significant increase in efficiency, effectiveness, and minimize risk in more and more businesses. 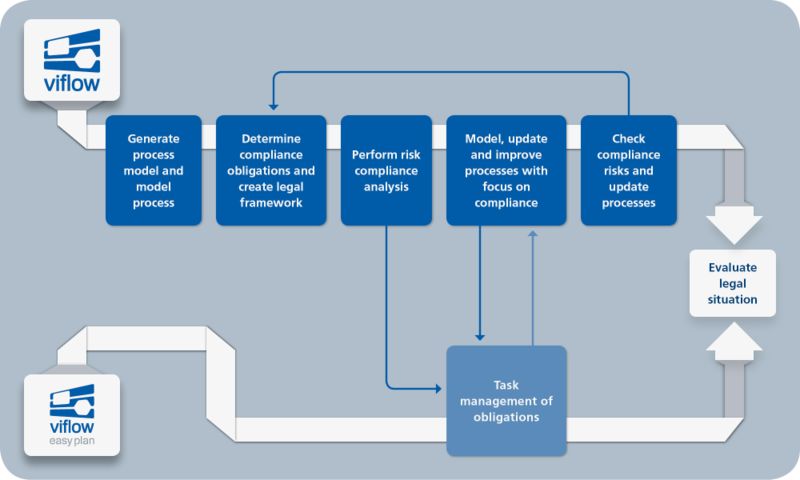 In order to achieve that, legal requirements must be monitored, efficient internal controls must be set up, IT- and business risks identified and reduced, and process transparency has to be ensured. viflow is an important tool for the implementation of the provisions of the Sarbanes-Oxley Act (SOX) or the introduction of an Internal Control System (ICS) for these measures. – Which risk in which process? – How many risks in a process (comparison of processes)? – What control for what risk? – Who is responsible for the checks? – Which controls are found in a process?